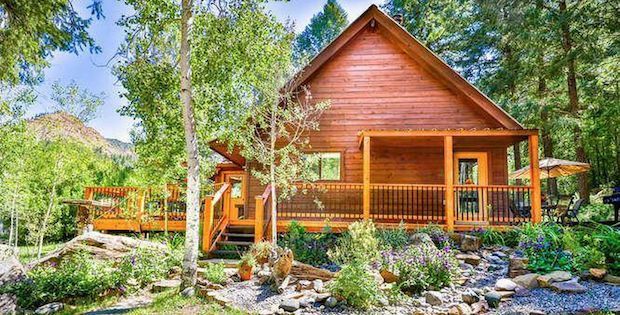 This cabin in Pagosa Springs, Colorado is the perfect place to enjoy the best of both seclusion and vast areas of wildlife to your heart’s content. 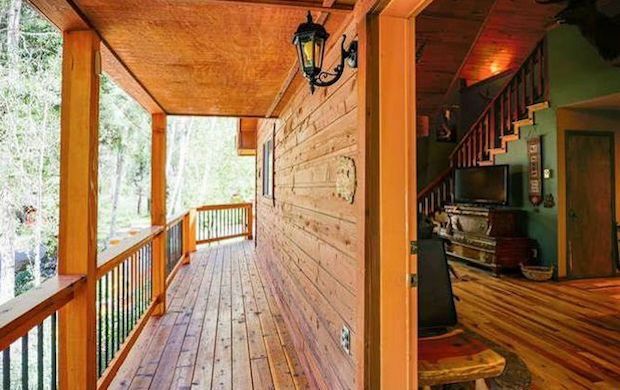 The cabin itself has a beautiful exterior, with a deck that wraps around three of its sides allow for a fantastic view of the scenery. The interior has been remodeled, featuring new and custom floorings and fixtures making it a home ready to give a warm welcome to its new owners. 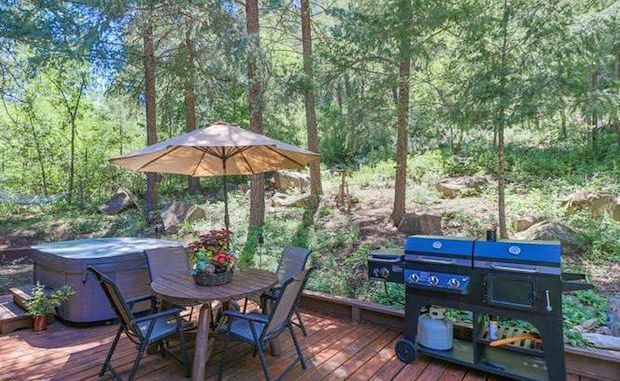 The cabin itself is 1,425 square feet, but you will also have access to more than 5 acres of land with a large ranch. Just outside the cabin is a stone garden where you can relax and breathe in the fresh air as you admire the breathtaking natural landscape. This home is for sale at $429,900. The home has a great water well with a Culligan water softener. In addition to the main house, a 400 sq. 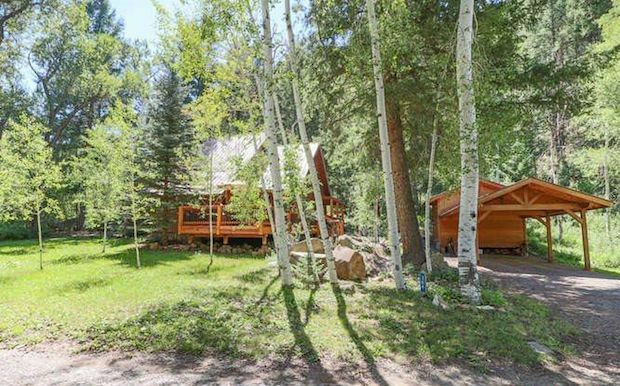 ft. river cabin sits on a separate contiguous lot. 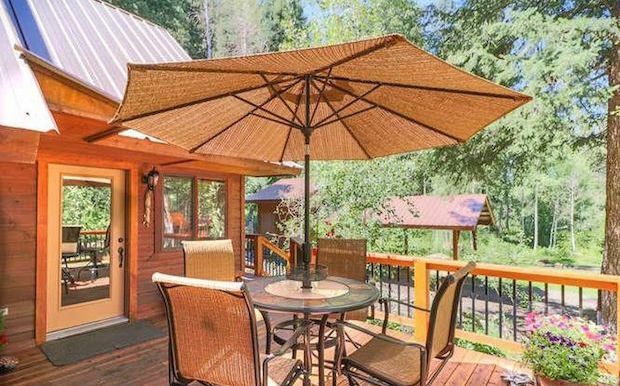 This cabin could be used as a bunkhouse, arts and crafts studio, or just for extra storage. There is room to build a second home on this lot if desired. The property comes with 2 carports (one 1-car, one 2-car) and an 18 ft. pontoon boat for exploring and fishing the nearby lakes. This is a real gem and a must see!